This is the final polish that I won from the lovely Treasuresby Tan. 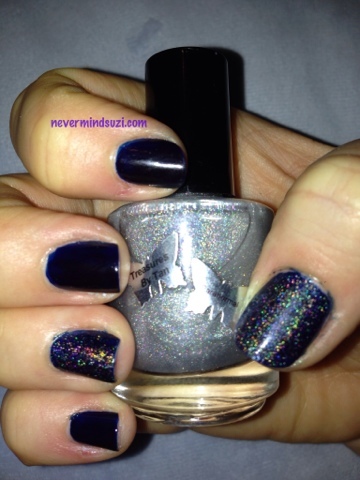 Paranormal is a holographic topcoat, I've been wanting 1 of these for ages so I'm very excited about it. I've used it over Color Club's Blue-Topia, though I only did an accent ring and thumb so you could see how it really PINGS!